Hello people of the internet!!! On today’s ‘YouTube Wednesday’ we’re going to discuss another show that is getting a reboot. Now I know you’re probably thinking that the world has gone reboot and spin-off crazy, but this show is spinning this idea in a different way. If you watched Nickelodeon from 2004-2007, then I know that you remember the show ‘Ned’s Declassified School Survival Guide’. This show starred Devon Werkheiser as a middle school kid named Ned Bigby, who gave us tips on how to survive all of the issues and problems that everyone faces in middle school. The show was very funny and entertaining, but honestly did give a lot of good advice that you could actually apply to everyday life. 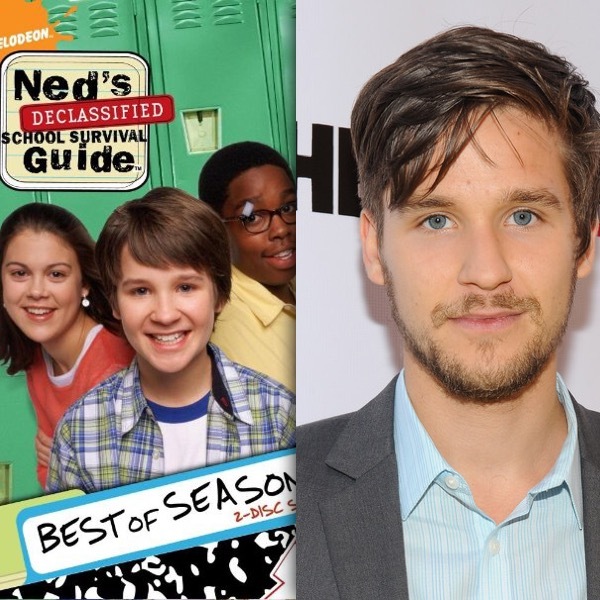 Unfortunately ‘Ned’s Declassified School Survival Guide’ ended with the three main characters graduating to high school, and thus left us to face high school, college, and life on our own. Luckily due to fan demand, Devon is now back in a new YouTube series that will help is all learn how to survive life. Three episodes of the show are already up, and they are AMAZING! so if you’re ready let’s talk about this incredible new series. Ready? Ok, let’s go!!! So far ‘Devon’s Life Survival Guide’ has covered the topics of: fame, working hard, and choosing your own destiny in life. The show airs new episodes on YouTube every Monday, and will definitely continue to cover topics that everyone deals with. Also, each episode opens with a very interesting quote that is related to the topic of the video. What I really love about ‘Devon’s Life Survival Guide’ is that the topics that it discusses are aspects of life that we all deal with or will deal with in the future. Whether you’re in school or not, we’re all trying to understand the things life throws at us and make the best of it. It’s cool to see someone who helped so many of us as kids continue to help us now that we’ve entered the “real world”. All photos and information used in this blog belong to YouTube, Devon Werkheiser, Ned’s Declassified School Survival Guide, Lindsey Shaw, Daniel Curtis Lee, Scott Fellows, Bill O’Dowd, Jorg Westerkamp, Nickelodeon, Nickelodeon on Sunset, Jack Mackie Pictures, Apollo ProMovie, Nickelodeon Productions, and all companies, individuals, corporations, managers, writers, producers, and/or businesses that should receive credit for anything mentioned in this blog post, and all original owners. I do not own anything in this blog. If any people, corporations, businesses, companies, etc, were not previously given credit for their work, they are given credit now and their previous absence was unintentional. All opinions expressed in this blog are my own. I wrote this blog for entertainment purposes and no copyright infringement is intended. celindareyesblog February 4, 2016 No Comments on YouTube Wednesday: Ned is back with his survival guide to life. Category: YouTube Wednesday. Tagged: 1, 2016, adults, advice, amazing, Apollo ProMovie, Bill O'Dowd, Daniel Curtis Lee, Devon Werkheiser, fun, guru, interesting, Jack Mackie Pictures, Jorg Westerkamp, kids, Lindsey Shaw, Ned's Declassified School Survival Guide, new, nickelodeon, Nickelodeon on Sunset, Nickelodeon Productions, reboot, Scott Fellows, season, show, spiniff, teens, tv, youtube, youtuber.